Visiting seniors in Reading, Pa. Photo: Lisa Hughes, SkillsUSA advisor, RMCTC. Used with permission. 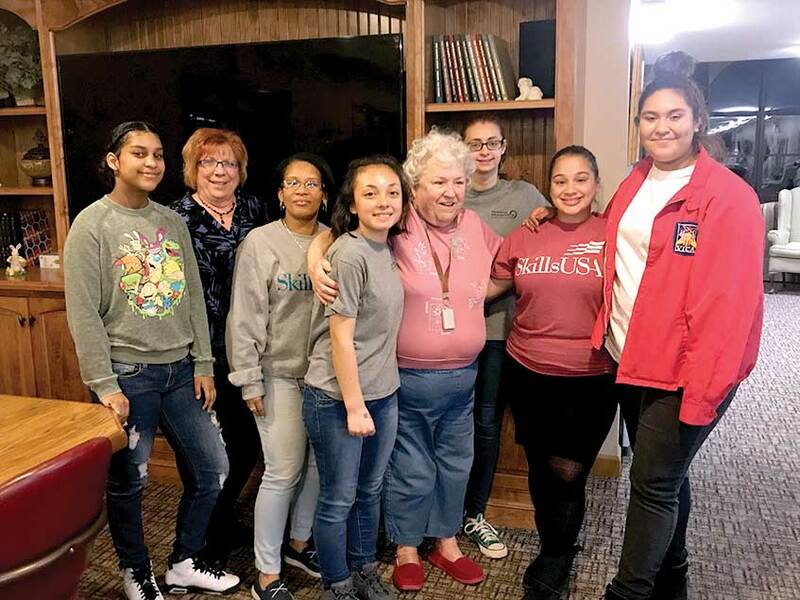 Students at Reading-Muhlenberg Career and Technology Center wanted to bring cheer to residents of a local senior-living facility. What they got in return was a lasting bond. The Pennsylvania students set out to deliver 100 “blessing bags” of toiletries as well as pens and pencils, playing cards, puzzles and word search books. They also did crafts, offered manicures and played bingo offering donated prizes. The residents were thrilled, and the students were moved as the two generations got to know each other. Many students had never been to such a facility, but now plan return visits.